The holiday season is just the best. Hot chocolate, spending time with family and friends, and Christmas music...what's not to love? Two years ago David and I were in full-on prep mode as we were gearing up for our first backpacking trip of 2016. We took the holidays to spend as much time as we could with friends and family because we were about to be gone for a full two months. It was such a special and exciting time for us. While this holiday season is a little different - as in we aren’t getting ready to take a two month trip abroad - it is equally exciting and special because we are getting to spend some quality time with my extended family—something that almost never happens. Expect lots of mountainous, snowy pictures and Instagrams in the coming months! I’m kicking off the month of December with a gift guide! I realize the internet is littered with gift guides this time of year, but there is only one Dolby Travels Gift Guide. Items: 4 picked by me (Colby) and 3 by David. These items are products we both own and swear by. They are perfect for an outdoorsy, adventurous, traveler or just your average Joe. Note: we are not being paid to say any of this. These are just products we love. I promise this will be your next favorite t-shirt. 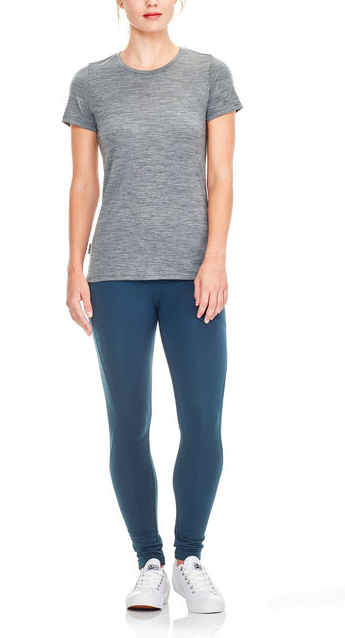 Layer it, work out in it, travel with it. It is the perfect tee for any woman. I discovered these gems on a recent trip to Asheville, North Carolina. They are made locally (but shipped world-wide) and would make the perfect gift for anyone who enjoys writing. Some of the journals include super handy envelopes stitched in to keep extra clippings. 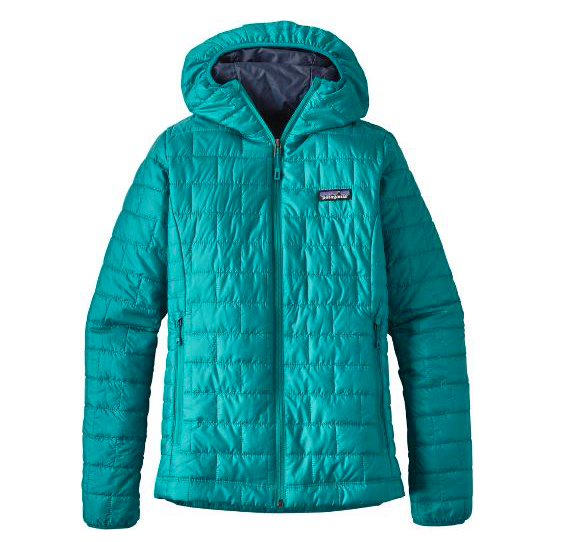 Patagonia’s quality and durability is hard to beat. This jacket is a staple in my travel wardrobe. It is lightweight, easy to pack, and soooooo warm. It is the highest priced item on our gift guide, but totally worth it. We promise. We have traveled with Osprey’s Farpoint 40 bag for the last two years. It is large enough to take on weekend-trips but also small (and lightweight) enough to bring along on a day hike. My favorite part: it opens like a suitcase which makes for super easy organization. Is there anything cozier in the winter months than a pair of warm, fuzzy socks? Lucky for you these resist odors, keep your feet warm and dry, and come in fun colors! We carried this bad boy all around Europe. It holds you smartphone and you can wrap it around almost anything to get awesome shots. I hope you found this gift guide helpful! If you purchase any of these items, let us know - we would love to hear your experience with them!